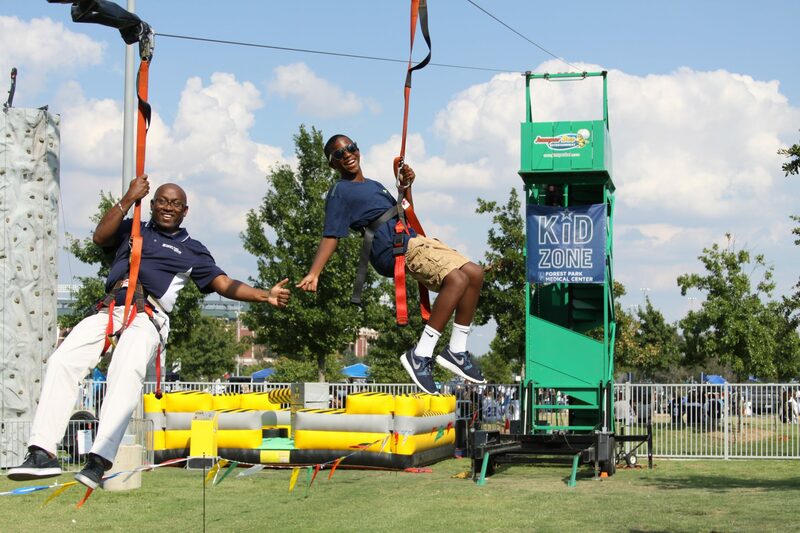 To comfortably ride this mobile zip line , each line can hold one ride from 50lbs- 250lbs. This allows carnival riders to ride on their own line. 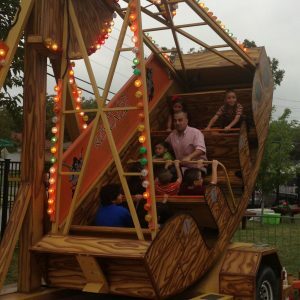 Come with your family and friends to experience this exhilarating carnival ride! The maximum weight limit is 250 lbs per line. There’s no wonder zip lines are some of the most popular outdoor adventure for kids and adults of all ages all over the world! 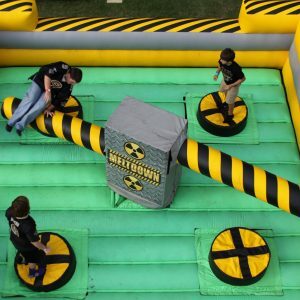 They provide an unforgettable rush of adrenaline. 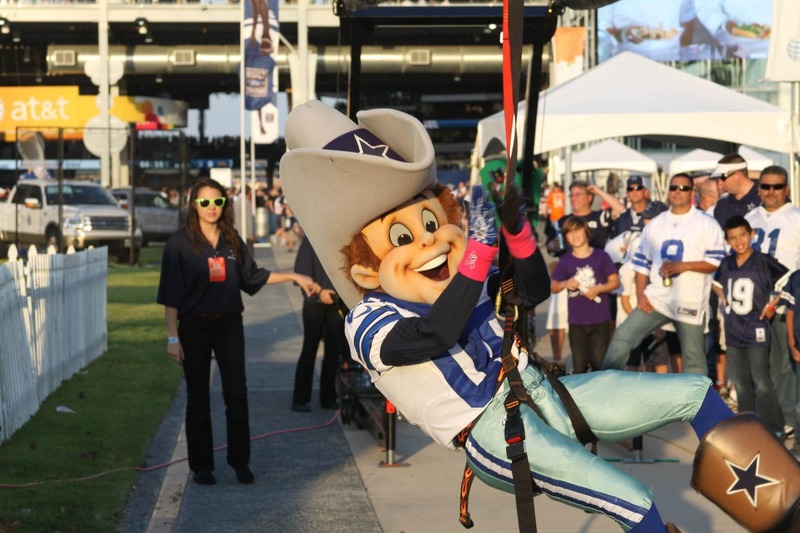 Our 28 foot high zip line for rent in Texas is the ideal way to spice up carnivals, fairs, festivals and even outdoor parties. Zippin Zone is a highly mobile zip line that can be used over forests just as well as over traffic. 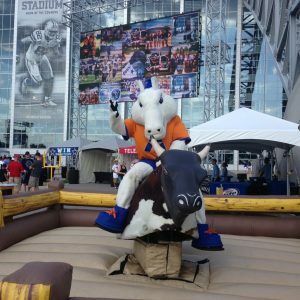 Whatever your favorite scenery, we can help you enjoy it from a considerable height and perfectly safe. 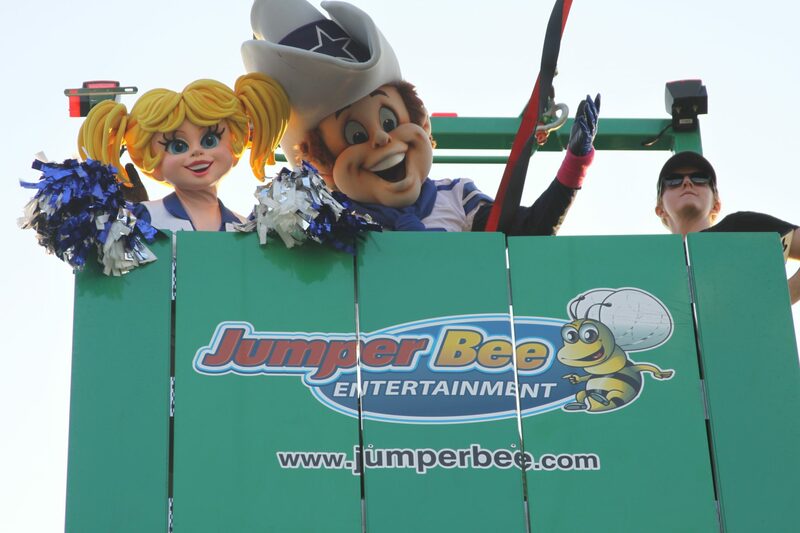 Ay Jumper Bee, we love adding the WOW factor to any party. And Zippin Zone is perfect for that! 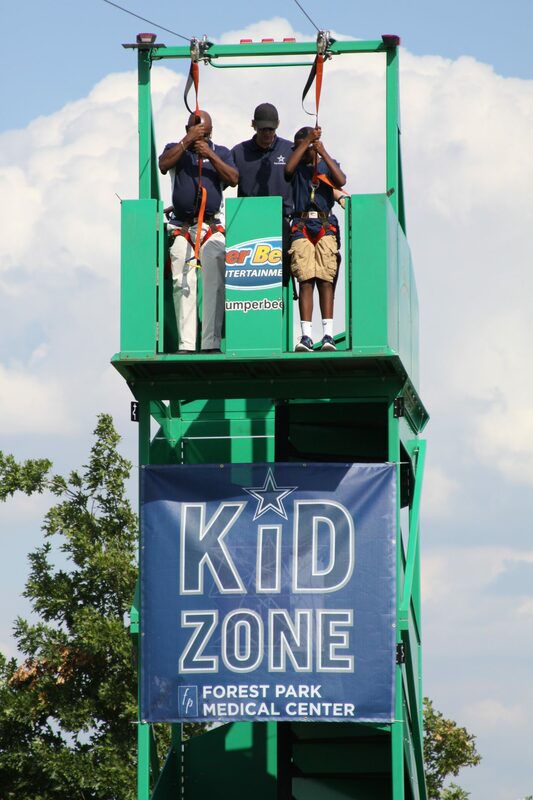 Whether your party, fair or festival is dedicated to toddlers, young children, teenagers or adults, everyone can enjoy this amazing zip line to the fullest. Our operators and skilled workers will always be there to ensure that the platform and zip line are safely installed and that every participant is perfectly harnessed. Plus, we can help you with tips and tricks on how to make every ride more exciting. 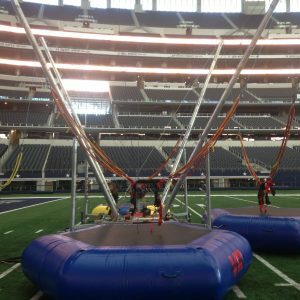 Get in touch now — we’d be happy to chat with you about what makes our zip line for rent in Texas such an amazing choice!